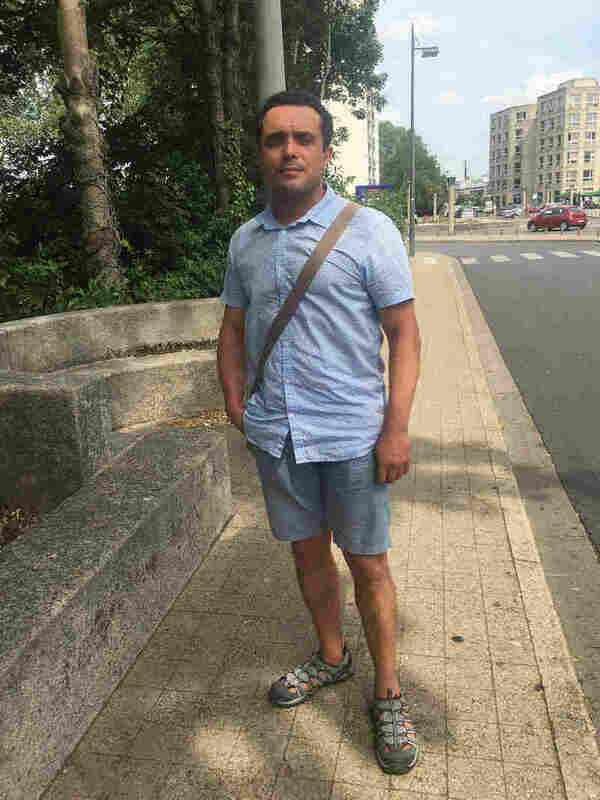 Inside French Prisons, A Struggle To Combat Radicalization : Parallels Some of the home-grown terrorists who have struck France in recent years were petty criminals who were radicalized in prison. An officer stands at the Fresnes Prison in France in September 2016. Fresnes was the first French prison to separate radicalized inmates from the general prison population. Fresnes prison director Philippe Obligis says he began to see a radicalization problem here well before those attacks took place. "There were some radical Muslims who were putting huge pressure on regular Muslims to adopt a certain kind of behavior," he says. "Like taking a shower with their clothes on and not listening to music or watching TV." Many of the homegrown terrorists who've launched attacks in recent years in places like Paris and Brussels were radicalized in prison — often while serving jail terms that had nothing to do with terrorism. In France, where a disproportionate number of prison inmates are of Muslim background, authorities are struggling to deal with the phenomenon. In 2014, Fresnes became the first French prison to separate radicalized inmates from the general prison population — they were put in an entirely separate wing, one person to each cell, and had different guards from the other prisoners. Instead, the French government boosted security around the most dangerous prisoners — both radicals and not. And intelligence collecting in prisons was beefed up. A bureau of central intelligence for prisons was created earlier this year. 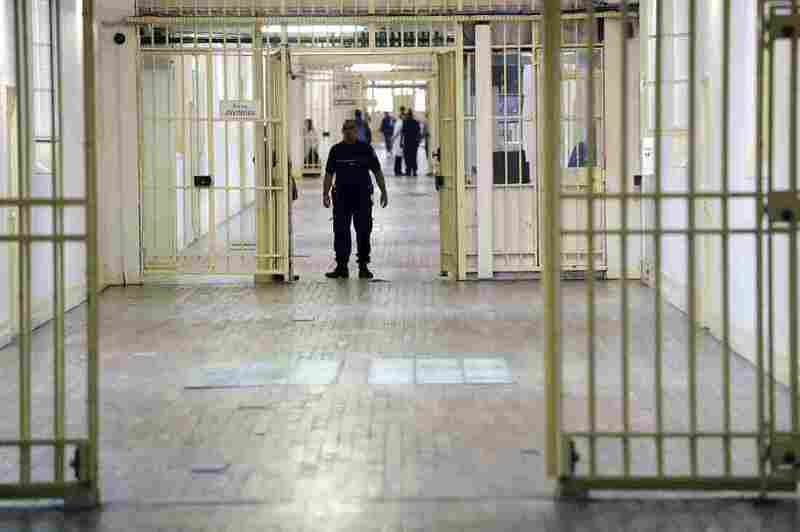 Around 350 French prisoners are serving jail terms for terrorist-related offenses. And a further 1,340 inmates convicted of regular crimes are identified as radicalized. Businessman Pierre Botton went to jail for white collar crime in the 1990s and founded Together Against Recidivism, an organization devoted to improving the lives of prisoners. He says it's nearly impossible to think about reforming in jail because prisoners are mainly just struggling to survive. He believes radicals should be separated in different prisons entirely, because otherwise, they'll inevitably interact with the rest of the prison population. He notes what happened when the only surviving terrorist from the Paris Bataclan attacks landed in a French jail last year. "When Salah Abdeslam arrived, they clapped," says Botton. "Do you understand what I'm saying? When he arrived in the jail, they clapped. They applauded." Botton says criminals like Abdeslam are icons in jails in the Paris region, where up to 70 percent of inmates identify as Muslim. Keeping records on the religion and ethnicity of French citizens is illegal, so there are no official statistics. But Botton says about 70 percent of prisoners in the Paris region observe the Muslim festival of Ramadan. "So when you put guys like this who represent a certain ideology in the heart of a prison, surrounded by 4,000 inmates, there's a huge risk they'll contaminate the others," he says. Yannis Warrach, a Muslim cleric who works in his spare time at a top-security prison in Normandy, says prison is so brutal, inmates can only survive if they're part of a gang. He has seen how the radicals recruit newcomers. Imam Yannis Warrach helps prisoners resist radicalization at a top-security prison in Normandy. He says radicals recruit newcomers by "brainwash[ing]" them "little by little." "The ones who preach and proselytize will at first be nice to a detainee. They see his desperation," he says. "They'll befriend him, give him what he needs. Then they'll say it's destiny. They'll say that God has a mission for him. And little by little, they brainwash him, telling him French society has rejected him, he can't get a job because of his Arab last name, and he was always put in the worst classes at school. "The problem is," says Warrach, "it's often true." Warrach says these young men must have hope for a different future to break out of the spiral of failure. He says French leaders have failed to change the socioeconomic factors that keep many French people of Muslim descent on the bottom rungs of the ladder. Another big problem, he says, is the prevalence of hard-line, Salafist reading material in jails — often French translations of Saudi, Wahhabist tracts that advocate literal, strict interpretation of religious doctrine. "I work to debunk this stuff," says Warrach. "I give inmates under pressure a historical context of the faith and another narrative of Islam." He says that because of the pressure from radicals, who consider him an agent of the French government, he has to meet secretly with inmates who desperately want his help. Instead of meeting in rooms designated for religious worship, which are open, they meet in special prison visiting rooms for inmates' lawyers, where no one can observe them. Because of its strict separation of religion and state, Warrach says France is the only country in Europe where being a prison cleric is not considered a profession. He says he only receives a small stipend, but that he can't build a life around it — there are no retirement plans or other benefits. Because of this, there can't be an imam at the prison every day, which creates a huge void, he says. And it leaves plenty of room for uninformed, extremist interpretations of Islam in French prisons.